Extreame Savings Item! 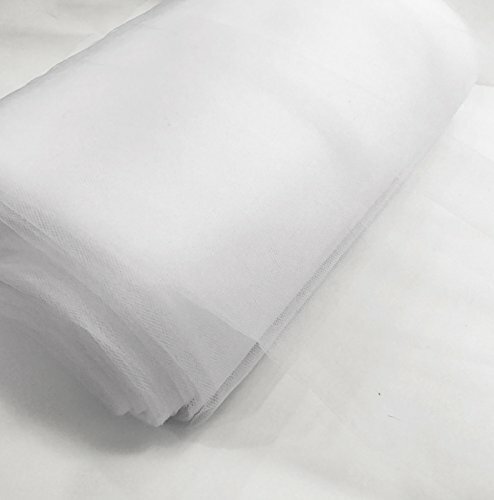 Save 41% on the Craft and Party, 54'' by 40 Yards (120 ft) Fabric Tulle Bolt for Wedding and Decoration (White) by Craft And Party at Designers Artists. MPN: FBA_ETLL-003. Hurry! Limited time offer. Offer valid only while supplies last. Made of 100% Soft Polyester, Diamond Netting, Soft / Fine Tulle bolt. Perfect uses for your wedding and special occasion. If you have any questions about this product by Craft And Party, contact us by completing and submitting the form below. If you are looking for a specif part number, please include it with your message.